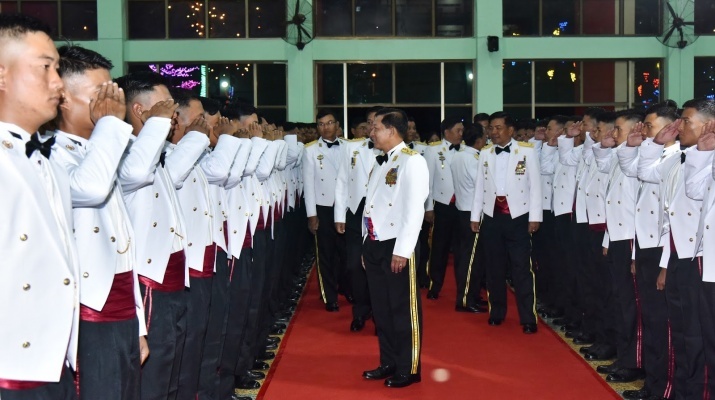 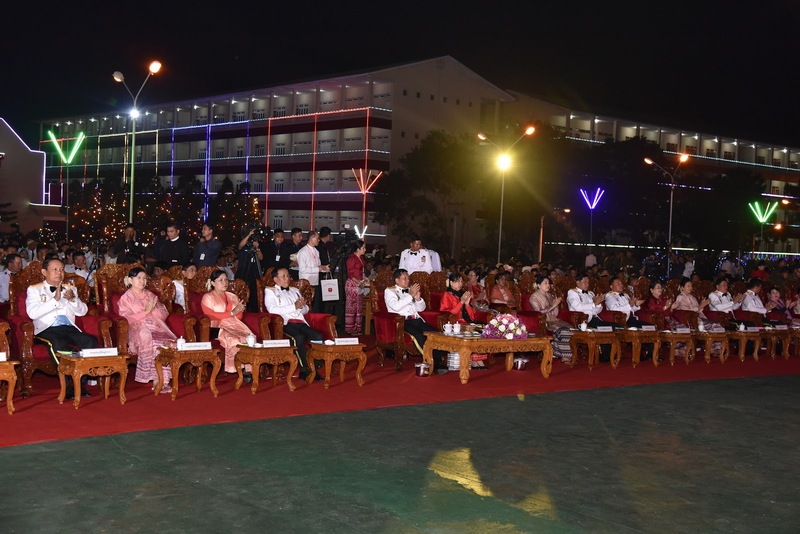 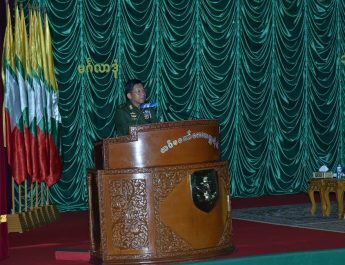 Commander-in-Chief of Defence Services Senior General Min Aung Hlaing attended the graduation dinner of the 19th Intake of Defence Services Technological Academy (DSTA) at Pyinnyatazaung Hall of the Defence Services Technological Academy in PyinOoLwin this evening. 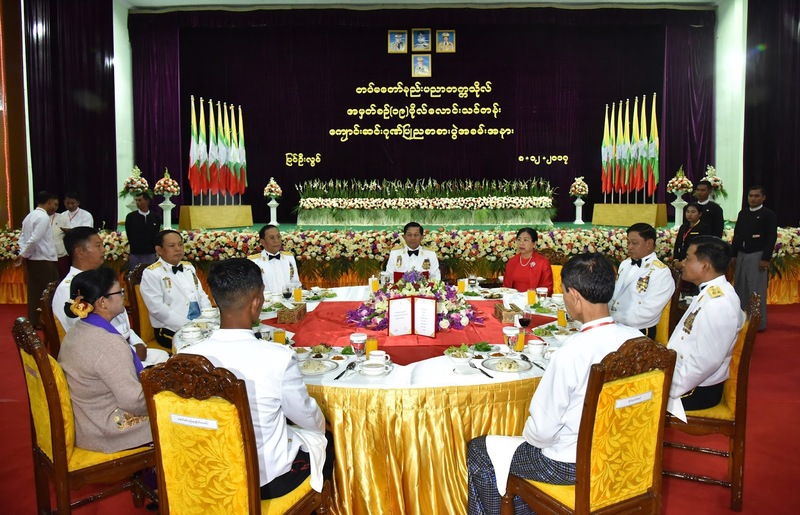 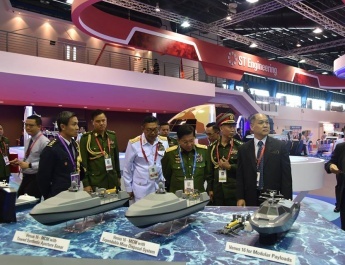 Also present on the occasion were the Senior General’s wife Daw Kyu Kyu Hla, Union Minister for Border Affairs Lt-Gen Ye Aung and wife, Commander-in-Chief (Navy) Admiral Tin Aung San and wife, Commander-in-Chief (Air) General Khin Aung Myint and wife, senior military officers of the Office of the Commander-in-Chief (Army) and their wives, command commanders, the commandant of the Defence Services technological Academy, invited guests, graduate officers and their families. 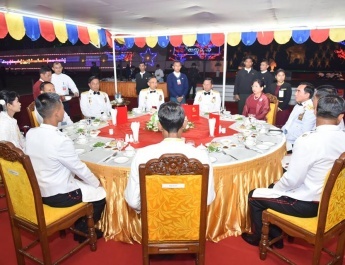 After cordially greeting each graduate officer, the Senior General and party had dinner together with the graduate officers and their families. 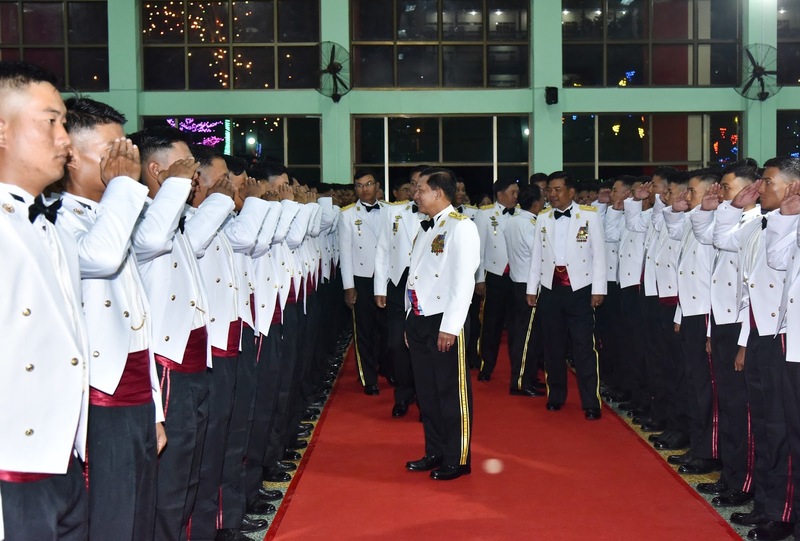 During the dinner, Myawady Band under the Directorate of Public Relations and Psychological Warfare and Defence Services Academy Military Band entertained them with songs. 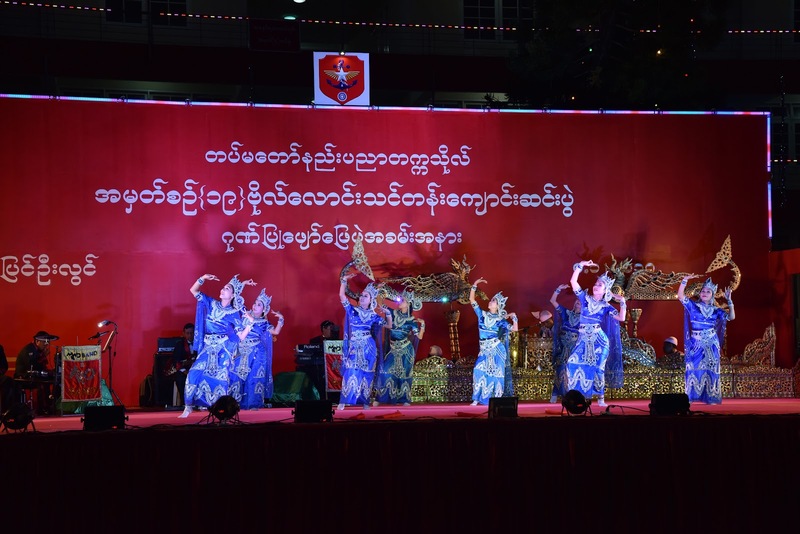 The Senior General and the attendees enjoyed the entertainment of Myawady Band and Myawady Anyeint troupe after the dinner.